Central air conditioning systems are like automobiles in the following sense: Once they have exceeded their useful life, the expense, aggravation and discomfort of frequent repairs can surpass the cost of purchasing a new one. I once had a truck that I drove for 200,000 miles. The truck began having numerous issues and each time I would say, “This has been a great truck,” and pay for the repairs. At the end of the year, I added up all the money I had spent on repair work. For that amount of money, I could have purchased a new truck! When I factored in the fuel savings a new truck offers and the lost productivity due to the frequent breakdowns I had experienced, I determined the old truck was costing me money. The same scenario holds true for central air conditioning replacement. A new air conditioner can save you money in energy costs and help you avoid the inconvenience of frequent breakdowns. It can also increase your comfort level by offering better humidity control in your home through advancements in thermostat technology. Additionally, you can improve your home’s air quality with improved air filtration and purification. Does your central air conditioner breaks down frequently? Are your electric bills are sky high? It may be time to replace your old inefficient air conditioner with a new air conditioning system from the FL Green Team. The efficiency of central air conditioners is much improved in the past ten years, providing many homeowners with greater savings, and in some cases reducing their electric bills 50% or more. Besides energy savings, a new air conditioner can also save you the discomfort and expense you endure when your old air conditioner breaks down. An air conditioning system is designed to do two things; cool your home and control humidity. If an air conditioner is over-sized it will cool just fine but won’t run long enough to remove humidity which can lead to mold, mildew and other health related issues. If it’s undersized, it won’t cool your home properly. 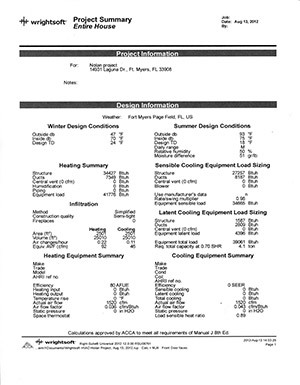 If you have made any alterations to your home, such as a room addition or enclosing your garage or lanai, you may have changed your home’s cooling requirements, known as cooling load. We can do a load calculation that scientifically determines how much cooling load is required for each room in your home. A new air conditioner can also improve your indoor air quality. The air filtration in central air conditioning systems has been much improved in recent years. 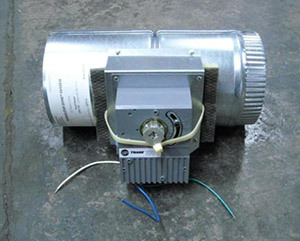 Many older central air conditioning systems have what are known as “hog hair” filters. 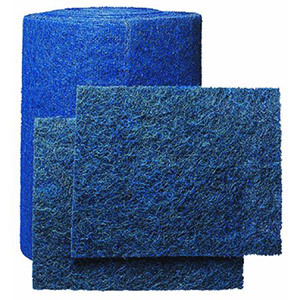 An expert in the air conditioning industry once described this type of filter as one that will catch boulders of dirt but not much else. Today we have high flow pleated air filters that are one hundred times more effective at air filtration than the old “hog hair” filters. If someone in your home is susceptible to allergies or other respiratory issues, we have solutions for that as well. 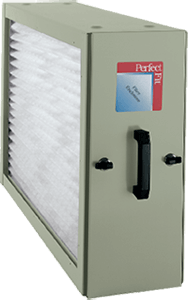 We offer REME air purification units, as well as ultraviolet light systems. UV light systems help prevent mold, mildew and algae inside your air conditioning air handler. You can learn more about High Flow Air Filters, the REME Air Purifier and ultraviolet lights on our Indoor Air Quality page. 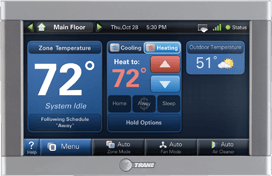 Your thermostat is another integral part of your AC system. 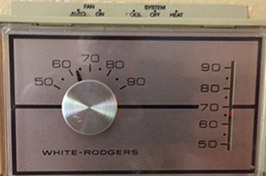 There are many old analog thermostats still in existence, using mercury to power the air conditioner off and on. 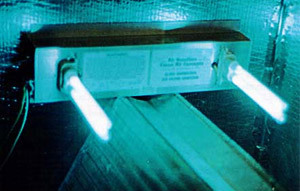 Humidistats were installed to control humidity in people’s homes. Humidistats are really de-humidistats and are routinely misused. Fortunately, today we have a whole new generation of thermostats that are highly accurate and have built-in dehumidification capabilities. The FL Green Team offers smart thermostats which allow you to monitor the temperature and humidity in your home from anywhere in the world – as long as you have an internet connection. For this reason, smart thermostats are particularly popular with part-time residents. If you have areas in your home that are too warm or cool, we can install zoning systems or dampers and possibly additional hot air returns. We have sophisticated testing equipment to balance the air flow coming into each room, making your home more comfortable and healthy. You may not need a new air conditioner, but it doesn’t cost anything to have the FL Green Team check out your system. Quite often, while conducting an in-depth evaluation, we’re able to identify and correct the issues that are affecting your central air conditioner without having to replace the system. For instance, we have determined on occasion that a professional from another trade who’d been in the attic, was responsible for causing damage to the air conditioning ductwork and impairing proper air flow. When assessing your air conditioning system, we look not only at the air conditioner itself, but at all of the elements that connect to it. We call this our “Whole House Approach”. We know that your home cooling system is a lot more than two pieces of equipment, the condenser and air handler. It also consists of the ductwork, refrigerant lines, thermostat and air purification. Many air conditioning companies are just equipment changers, when they should be giving consideration to these underlying components. After taking an in-depth look at the two major components, the condenser and air handler, and we’ll also analyze your ductwork or air distribution system, your current filtration type, the refrigerant lines running between the air handler and condenser, and your thermostat that controls temperature and humidity. So, if you live in Fort Myers, Cape Coral, Sanibel, Fort Myers Beach, Lehigh Acres, Estero, Bonita Springs or Naples, give the FL Green Team a call at 239.432.1500. 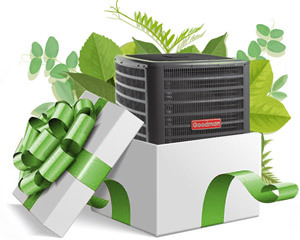 We’ll give you a free air conditioner evaluation by one of our qualified technicians. We pride ourselves on honesty and integrity. Therefore, we assure you that you will not be subjected to high pressure sales tactics. We will provide an honest assessment of your system and a number of options tailored to your particular air conditioning needs. 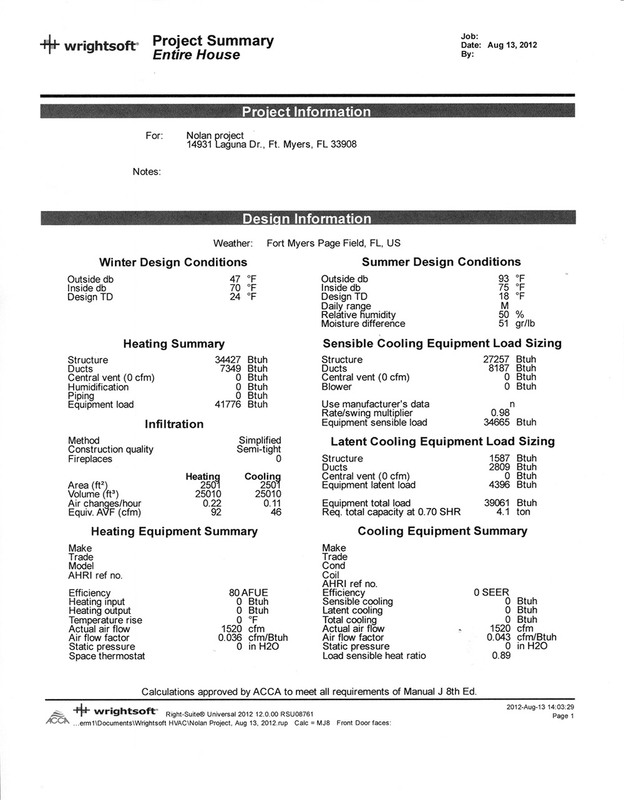 For a price estimate on a new air conditioner, use our free, online AC Estimate Calculator.